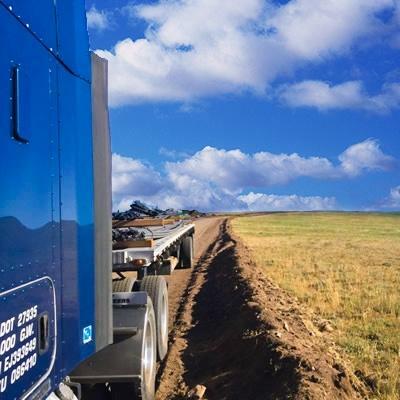 Getting started in trucking is always challenging, and there are several common problems that many new drivers struggle with, especially in the beginning. These problems aren't always just inconveniences. Some of them can be devastating to you personally, and your career. Here are some of those common problems and what you can do to prepare yourself for the challenges that lie ahead. Hey folks, I'm Brett Aquila and welcome to another episode of our podcast, 'The Road Home', where we help new drivers prepare for life on the road. Today I'm going to talk about three of the biggest problems that rookie drivers face getting their career underway and how you can prepare yourself to face these challenges when the time comes. The first problem that rookies often fail to overcome is getting started in the trucking industry with the wrong expectations about how the training is done. Most people expect the training will be done at a slow enough pace for new drivers to take their time and learn how to handle that truck really well. Unfortunately this is rarely the case. Training in this industry is highly competitive and there are almost no minimum requirements for what you'll need to be taught. So both private schools and company-sponsored programs will push you through training as quickly as possible. Private schools are competing with each other to provide the fastest and most inexpensive training they can while still allowing their students to pass the CDL exams and land their first job. The shorter and less expensive the course, the more students they’re going to get. Company-sponsored programs are schools which are offered by trucking companies and they're in a different type of time crunch. They're trying to train students while maintaining a profitable trucking company at the same time. So they want you to get through the training, get your CDL, and get out there on the road as quickly as possible creating revenues for the company. So training is often done at what will feel like a very fast pace. This often gives students the impression that the schools or the companies don't care about giving drivers the thorough training they need, but that's not the case at all. They're giving the best training they can afford to give without running themselves out of business. That's a simple reality in this industry and that's how it's been for decades. So prepare yourself for very fast-paced training with an overwhelming amount of information and quite a bit of pressure at the same time. In fact, it's not uncommon for company-sponsored programs to send students home after only a few days or maybe a week of training because they're simply not catching on quickly enough. So don't make the mistake of going into your training unprepared or you might find yourself struggling to get through it at all. And don't walk out on your training because you think you're being rushed through the process by a school or a company that doesn't care about the quality of your training. They do care about the quality of your training but they're in a position where they must find a way to train students as quickly as possible. Study the CDL training materials before you begin your schooling and prepare yourself mentally for a lot of hard work and a lot of pressure, even during the training phase. The second mistake rookie drivers often make is they fail to realize that you have to prove yourself to your company first before they're going to give you the big miles, the fancy equipment, and the best freight that only their proven drivers are getting. Not everyone gets treated equally in trucking. That's not how this industry works. This is a performance-based industry where the top performers get the bulk of the miles and all of the nice perks, while the underperformers are left sitting around hoping there will be enough freight left over to keep them moving. Sometimes there is, sometimes there isn't. So you want to take the same approach you would take if you were an athlete trying out for a team. The best players are going to make the most money and get the most playing time, while the backups spend most of their time on the bench going broke. That's how it is in sports, and that's how it is in trucking. So don't make the mistake of going into your first job waiting to see if you're working for a good enough company. That's going to get you nowhere. The large carriers that hire new drivers have already proven themselves at the highlest level in this industry for decades, and on top of that they know that many new drivers entering this industry aren't going to be around for long. So it's up to you as a new driver to prove to your company that you're one of the true professionals capable of helping them to remain profitable and competitive. If you have what it takes to get the job done they'll give you all the miles you can stand. If you underperform your peers you're going to be spending a lot of time sitting around at truck stops going broke. The third problem that new drivers face is more of a personal one and it really catches a lot of people off guard. Being an over the road truck driver will entail spending an incredible amount of time alone in that truck, and the people you do come across are all going to be strangers. This is something most people have never faced. Think about this for a moment. When was the last time you spent maybe 20 hours out of every 24 hour period completely alone in isolation with no one to talk to and no one to visit with? It's something very few people have experienced even for a day, let alone weeks at a time. And when was the last time you went several weeks without seeing a single person you know? Not one friend, or relative, or even a casual acquaintance. Even in the military or in college you may be leaving your home, but you're going to see a lot of the same people every day and you'll quickly make new friends. In over the road trucking you're going to be surrounded by strangers every minute of your life for weeks at a time. You might go an entire month without seeing a single person twice. Very few people have ever had a job or a lifestyle that separates you so thoroughly from everyone you know and forces you to sit alone in isolation for endless hours the way trucking does. Even the other drivers you meet and the people you work with are almost never going to be around, and most of them you'll rarely see twice. And probably the most devastating part about the separation and solitude is finally returning home to find that life has pretty much gone on without you. When I first started driving I couldn't wait to get back to visit with family and friends to tell them all of the amazing stories of travel and risk and adventure. I was on this epic quest to see this great land and to take on all of the challenges and risks and rewards of navigating an 80,000 pound big rig from coast to coast. It was all so epic that I just couldn't wait to share my adventures. But you quickly come to the realization that after a few short stories about your adventures no one is really that interested. They can't relate to your stories at all, and they're far more interested in their own day to day lives, which you are no longer a part of. So there's now this great divide between you and your former life. Your family and friends have been living their own lives, without you around, and so their thoughts and concerns are different than yours. And even your home doesn't really feel like your home anymore. It's kind of surreal being there after being gone for so long and you feel stuck in this limbo where your truck isn't really a home but your home doesn't feel the same anymore. Even the people you share your home with feel like they're living a separate reality that you're not able to connect with anymore. So prepare yourself as best you can to stay in close contact with family and friends using facetime video chats and lots and lots of phone calls. But even more importantly than that, prepare yourself for the inevitable isolation you're going to experience, and the detachment you'll find from your former life, including the people you've always known and loved dearly. When you're travelling for weeks at a time you become an outsider in your own circles. It's devastating to a lot of people and it's one of the biggest reasons new drivers leave the industry. So as you can see there's no shortage of challenges that new drivers will face, and there are an awful lot of sacrifices you'll have to make if you want to live the life of an over the road driver. This career will throw curveballs at you faster than you may have ever seen and you will have to learn to deal with conditions you almost certainly have never faced. But at the same time, driving a big rig is truly one of the grandest adventures imaginable. There's just nothing on Earth like it. But it’s a hard job and often times an even more difficult lifestyle that doesn't come easy, and it doesn't quickly. It's going to take a lot of hard work to learn how to do this job and a lot of tough times trying to adapt to the new lifestyle that you and your family and friends will have to live. So stick with your first company for a minimum of one year and give it everything you've got so when the workday is done you can sit back, relax, and enjoy 'The Road Home'.